Just getting back from my little Europe tour, a really amazing time DJing in Austria, France, Germany and Montenegro. Finally readjusting to the Montreal routine but before I do I wanted to remind myself of a few songs that really stood out from each set. 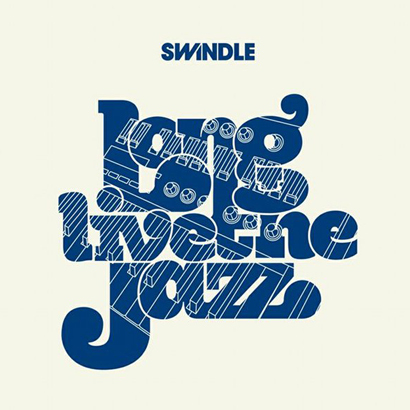 I played this track from the new Swindle “Long Live The Jazz” LP at the Southern Soul Festival and it just really killed! Swindle’s long awaited record on Mala’s Deep Medi Records is really as good as advertised. A record that is truly unique from one of the most exciting producers in the UK for the past couple years; the record that will finally break him beyond the grime & dubstep circles and litle more towards more mainstream recognition. I really suggest you check out the whole LP of course but the killer track on it is without a doubt “Running Cold” with UK soul singer Terri Walker who recently put out an amazing record as one half of the Lady project on Truth & Soul. It’s the kind of track that completely cuts through a set and just stands out so much… The kind ‘next level’ or hi-tech’ soul music that we love so much here. Not everyone will understand how amazing this track is: Swindle’s music is usually pretty mentally challenging but that’s why we dig him. He pushes his sound without any compromises. Like George Clinton, Timbaland and Aphex Twin making a music baby. COMFORT FIT "Forgotten Treasures Mix #11"